Barça’s league title hopes are pinned on Málaga doing them a huge favour on Sunday and beating Real Madrid. But Luis Enrique will be fully aware that anything that happens at La Rosaleda will be of no relevance whatsoever if Barça don’t win their own fixture, and he had his squad back at the training ground on Friday to continue preparations for precisely that: Eibar on Sunday at the Camp Nou (8.00pm CET - TICKETS HERE). And there was good news as Gerard Piqué was welcomed back to work after recovering from a sickness that’s kept him out of action for a week, and which meant he was watching from home as his team-mates defeated Las Palmas 4-1 in the Canary Islands. Marlon Santos of Barça B joined the first team as well for a session held on a sunny morning, but with a surprisingly chilly wind blowing. 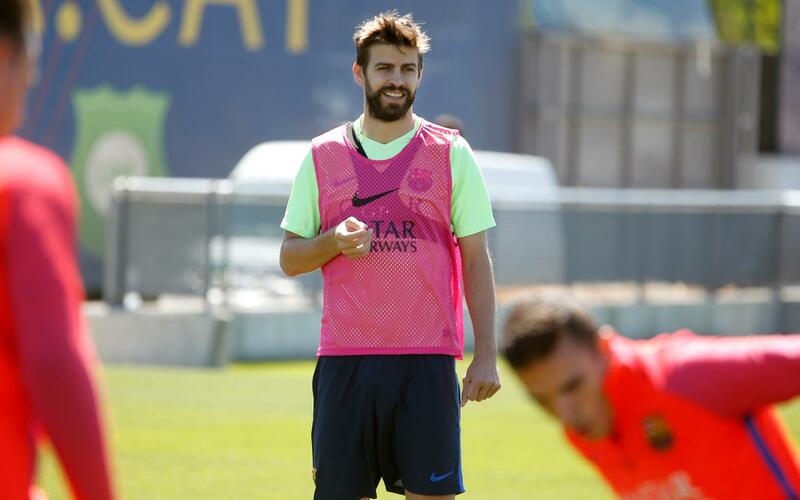 And they’ll be back at the same place, same time (11.00am CET) for the final pre-match workout on Saturday. You’ll be able to watch the first fifteen minutes live here at www.fcbarcelona.com and on Facebook. Half an hour or so after the session is over, Luis Enrique will be giving a press conference, and you can see that on the official website too, with simultaneous translation into English.